The reality you are facing every day is no secret: diverse and distributed data, with questionable quality. As a result, your your organization, is under tremendous pressure because self-service tends to be much more complex than expected. Information derives its own unique benefits from multi-domain Master Data Management. Explore the advantages that you will gain when your data isn’t siloed in and outside your organization. Give everyone access to the right data, in the right place, at the right time. All of this across different data domains and with the right relational links. The General Data Protection Regulation (GDPR) has been in the making for over 4 years but now it is there. It promises data protection rules that will remove red tape but also tighten privacy protections. Is the impact on your organization clear to you? Ensure Compliance with GDPR Laws. 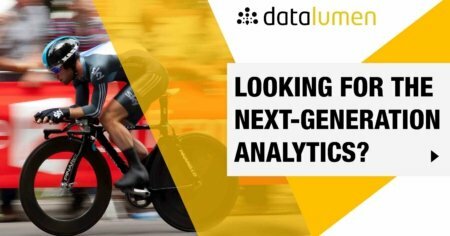 Jumpstart, scale, and ensure the on-going success of your analytics with a logical data warehouse. Get a single customer view across channels and build trusted customer profiles that help you segment and personalize marketing offers. Ease the Pain of BCBS 239, CCAR, and Solvency II Compliance. Keep in touch with Datalumen & sign up for the latest updates!